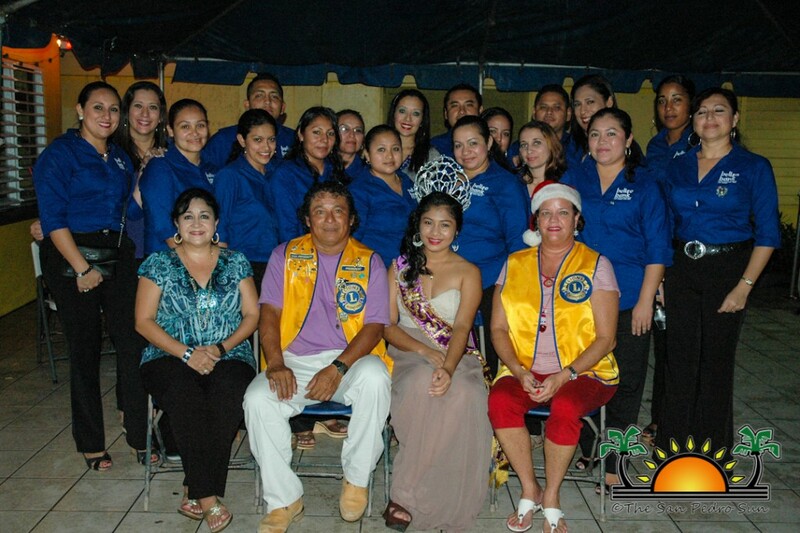 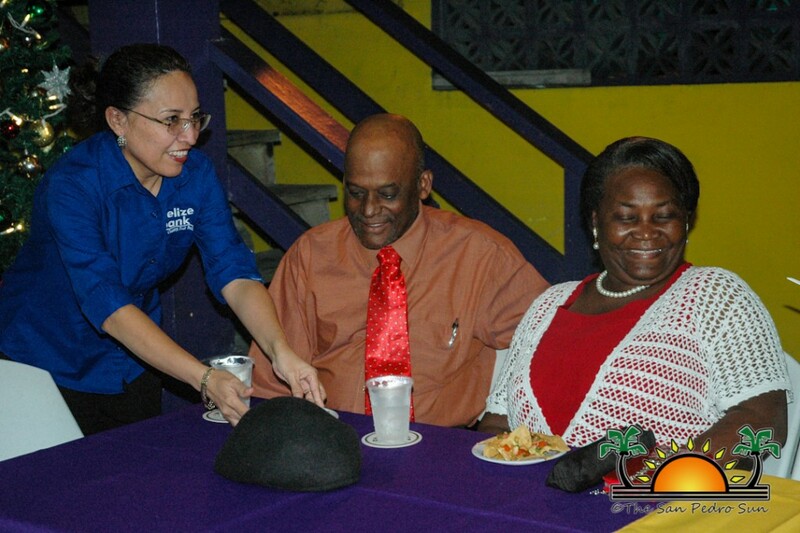 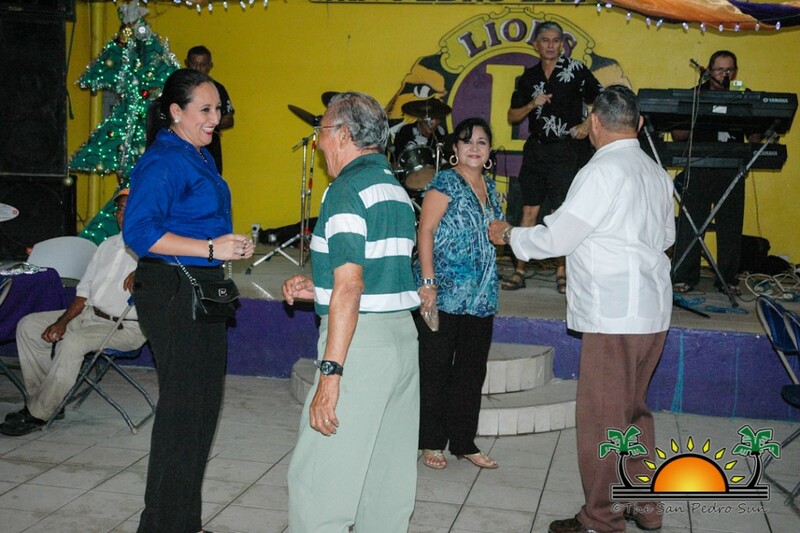 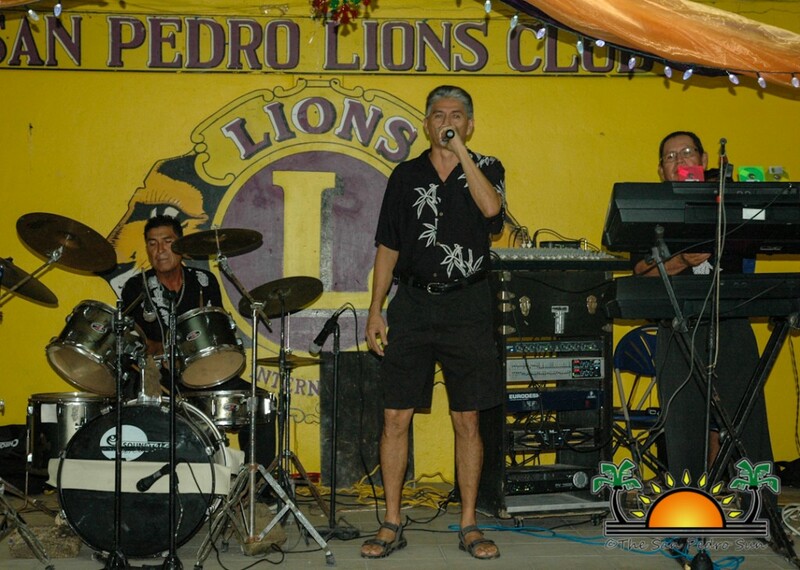 The San Pedro Lions Club along with The Belize Bank, San Pedro Branch, hosted their Annual Senior Citizens’ Christmas Party at the Lions’ Den on Thursday, December 12th. 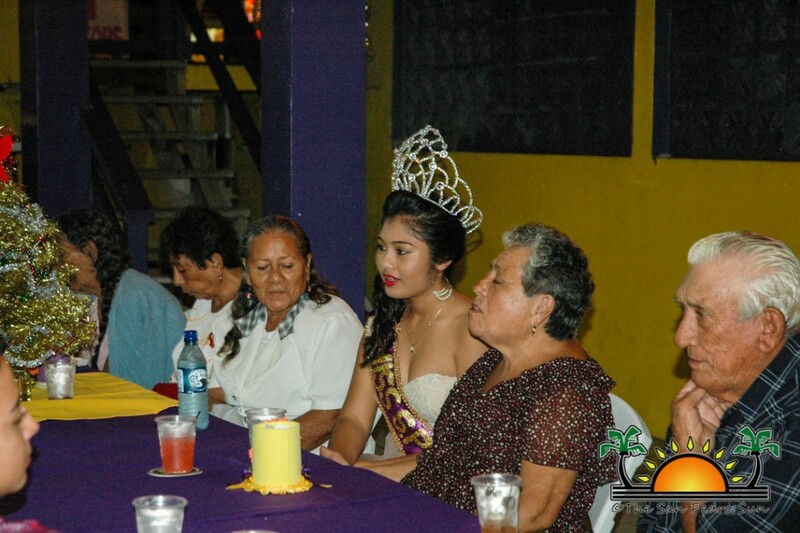 The party started shortly after 6PM, with Belize Bank employees escorting San Pedro’s seniors to their seats. 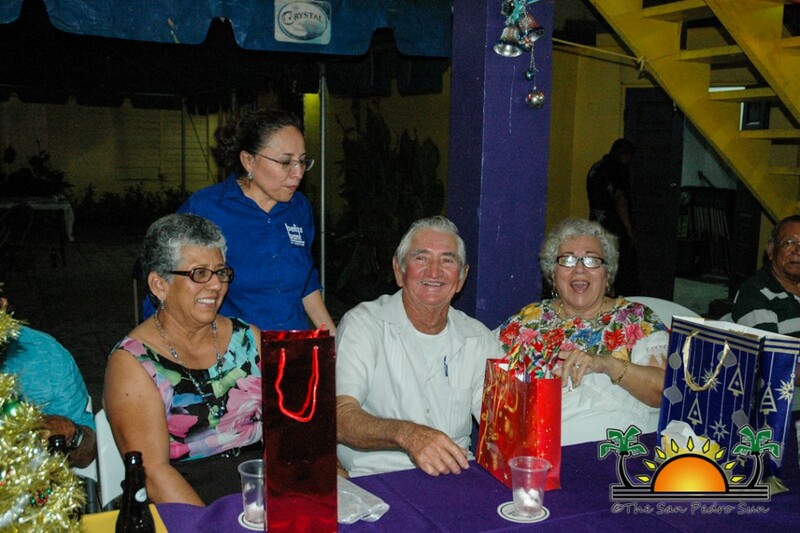 There was certainly much Christmas cheer as the happy faces of those present made the night shine spectacularly. 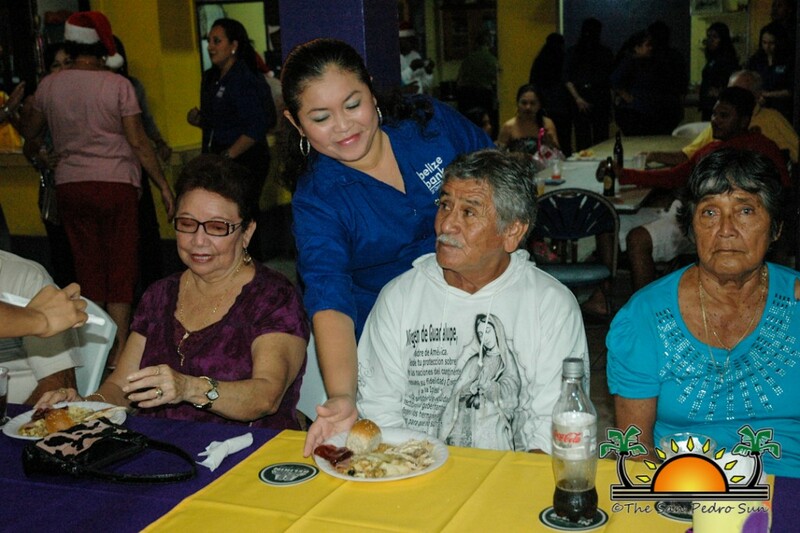 A delicious three meal, along with refreshing drinks was on the menu. 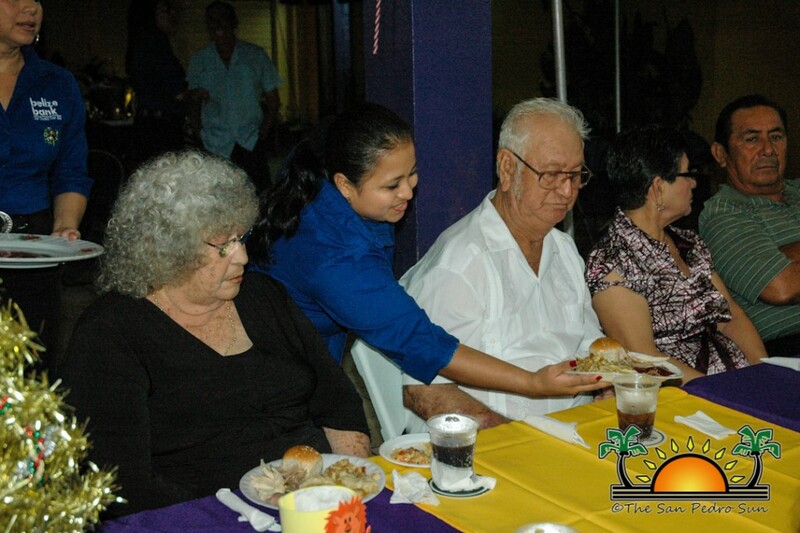 The dinner included yummy nacho appetizers and for the main course there was the delicious traditional turkey dinner, and a yummy key lime pie for dessert. 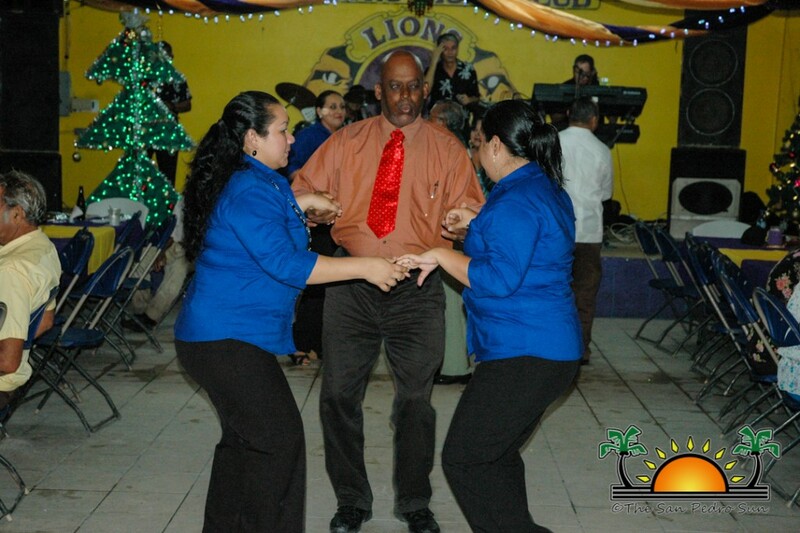 But it isn’t a party without a little music, and Rompe Raja made sure to provide the best tunes to get all of the seniors out of their chairs and on to the dance floor. 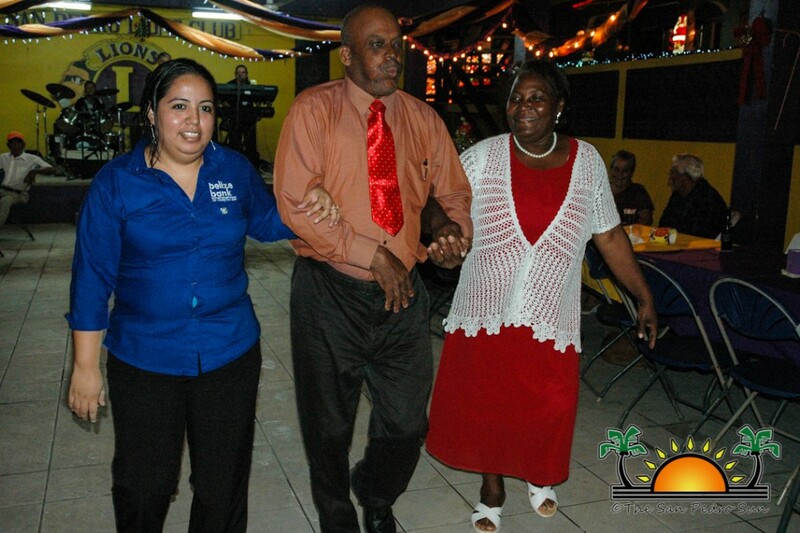 And dance they did, as they happily coupled off with Lion Members and the staff of the Belize Bank to shake it to the rhythm of Belizean Christmas Bruk-down and more. 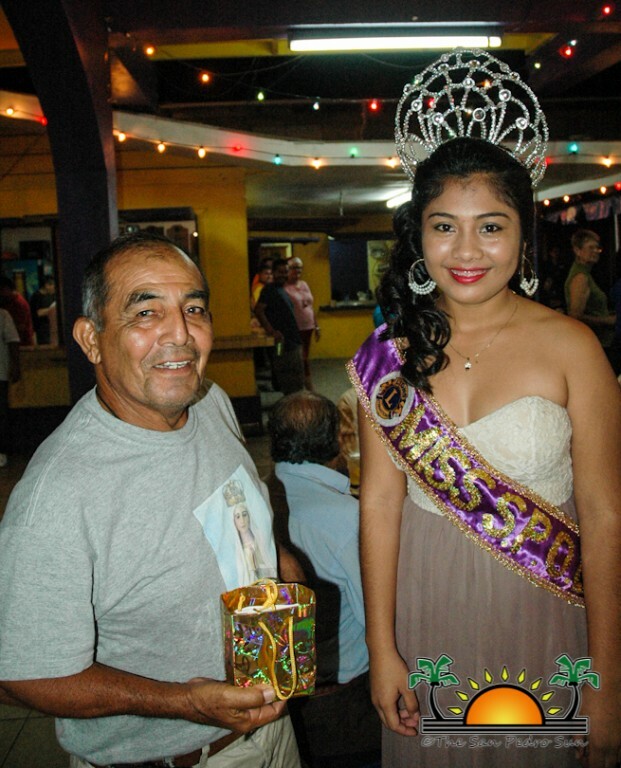 Even the newly crowned Lions Queen, Arlethe Lima, got a chance to dance with some of San Pedro’s premier senior bachelors. 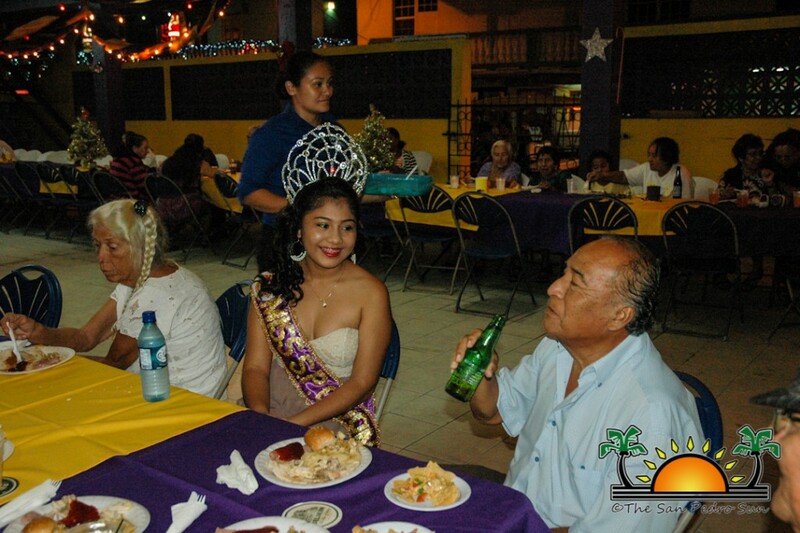 At the end of the night, gift bags were distributed to all the guests. 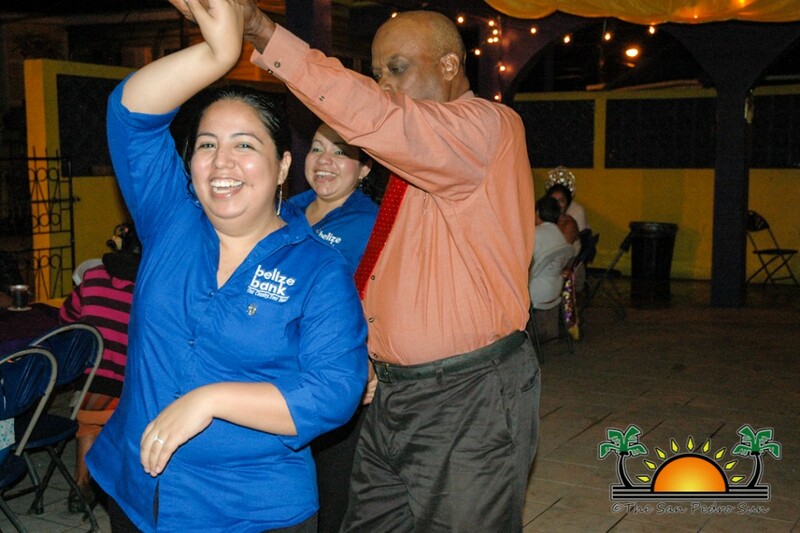 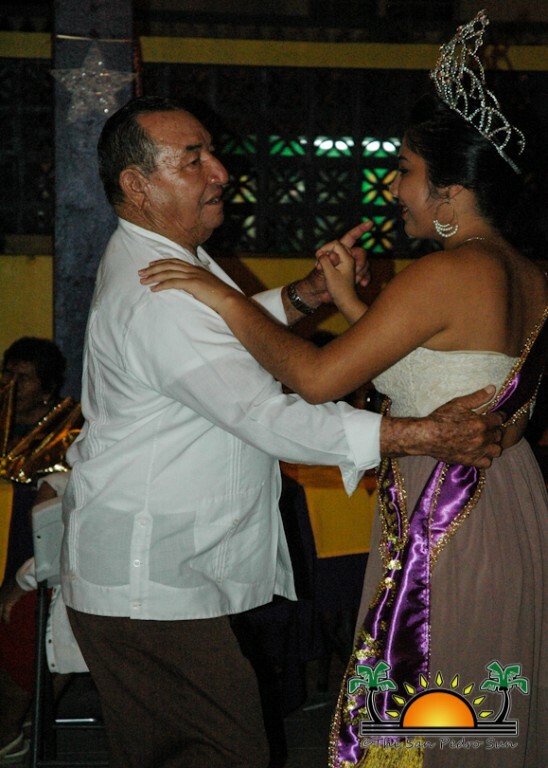 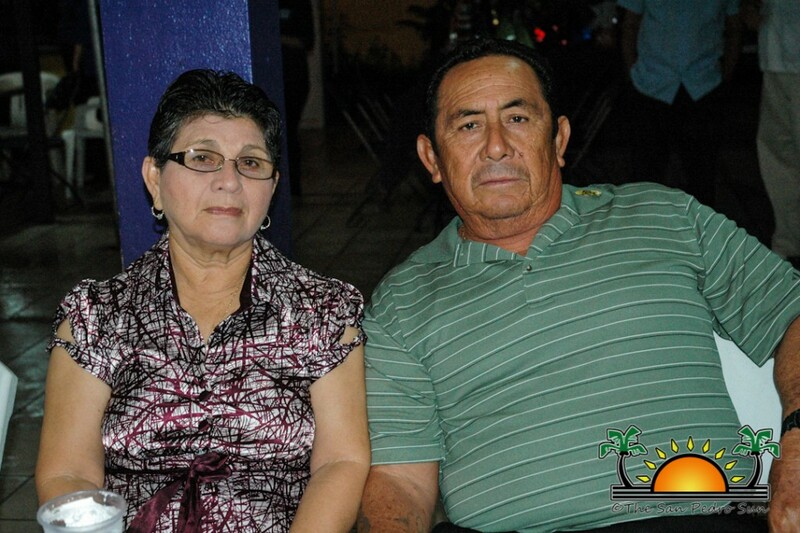 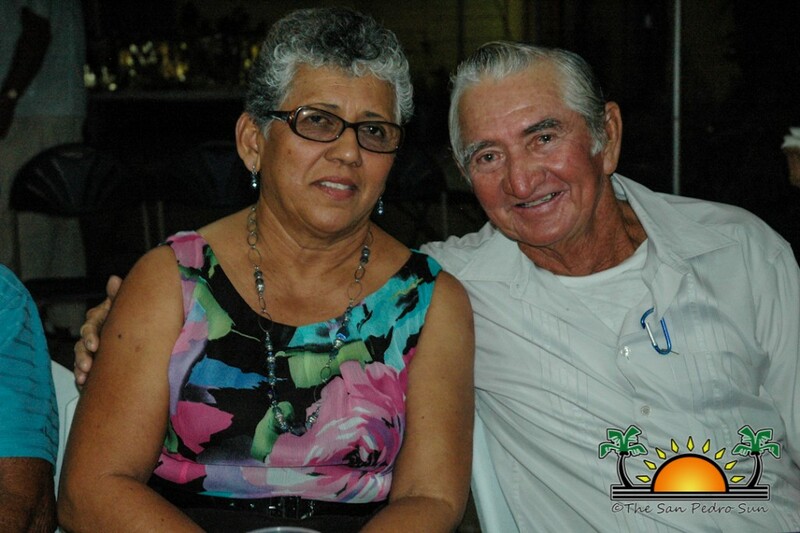 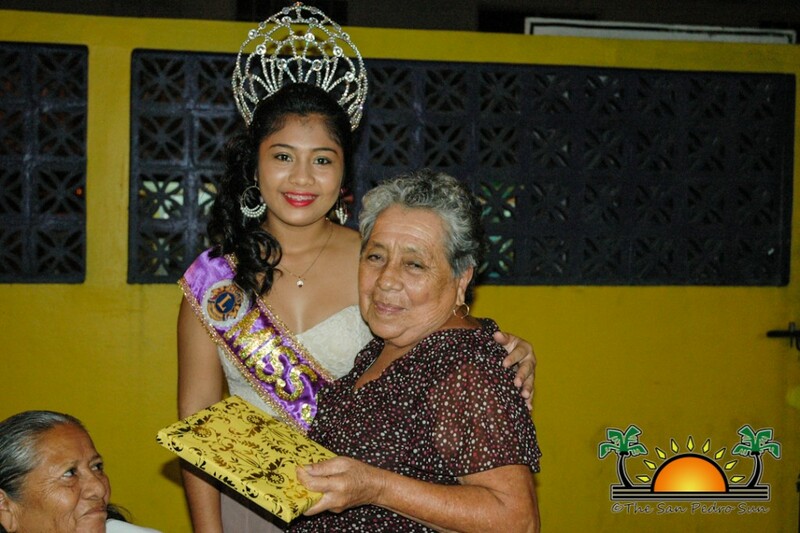 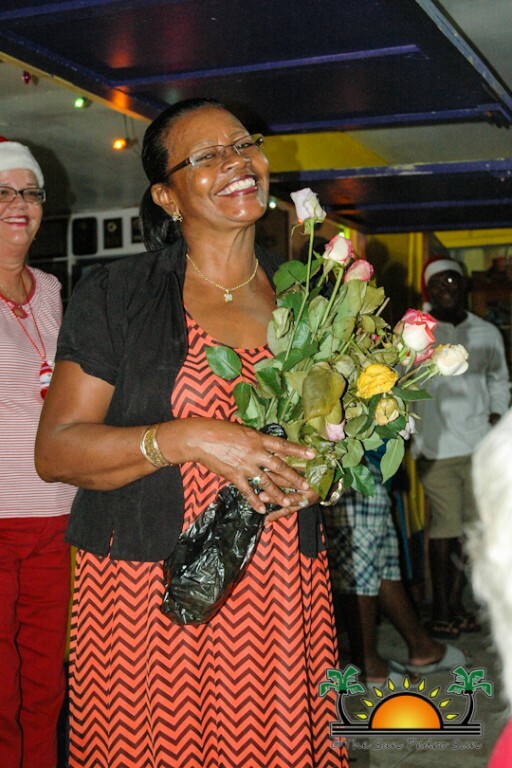 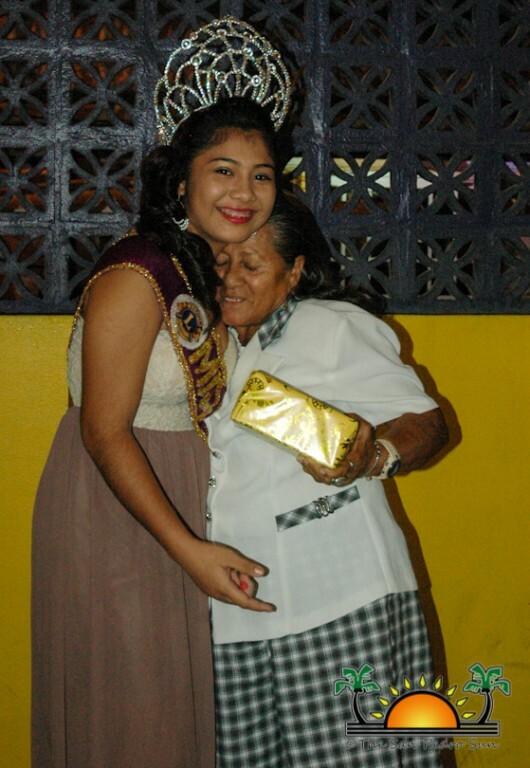 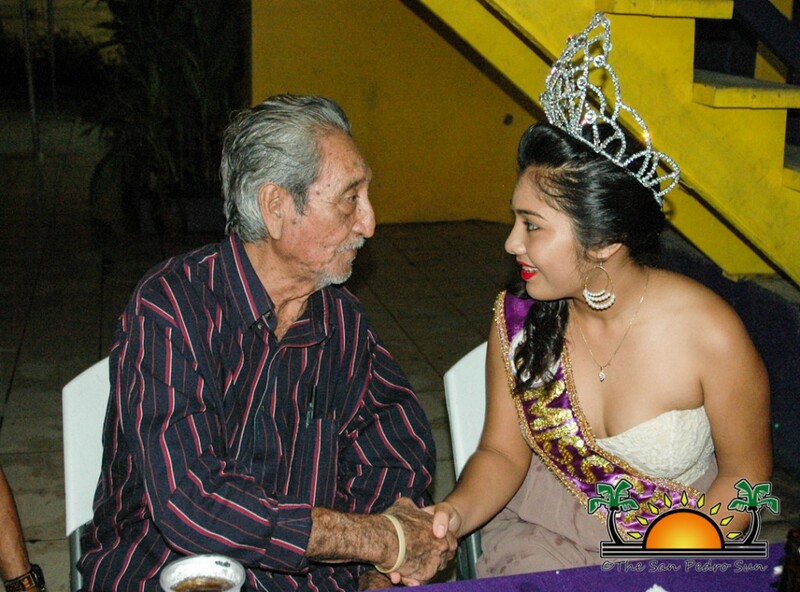 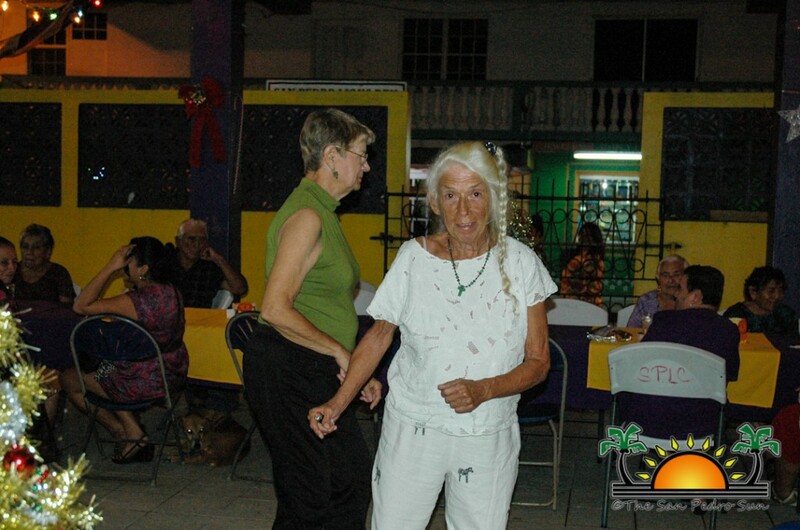 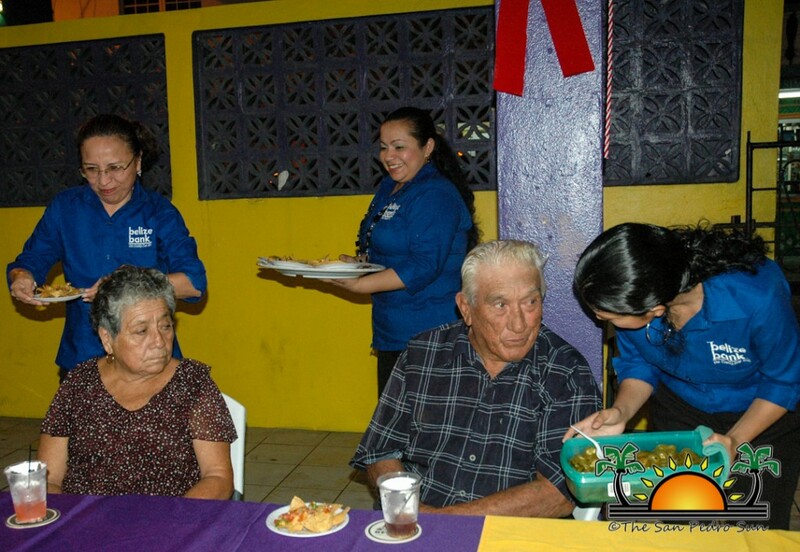 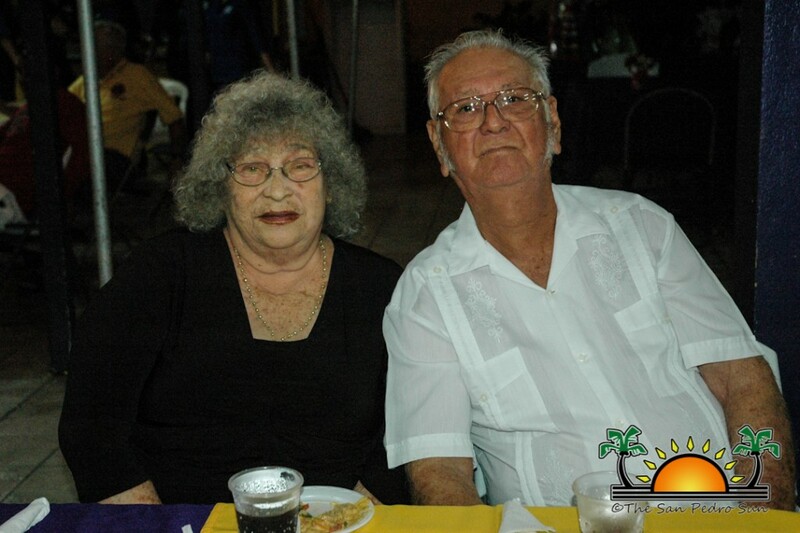 According to Maria Cervantes, San Pedro Branch Manager of the Belize Bank, the event is a wondrous way to liven up the spirits of the seniors, as it is so enjoyable. 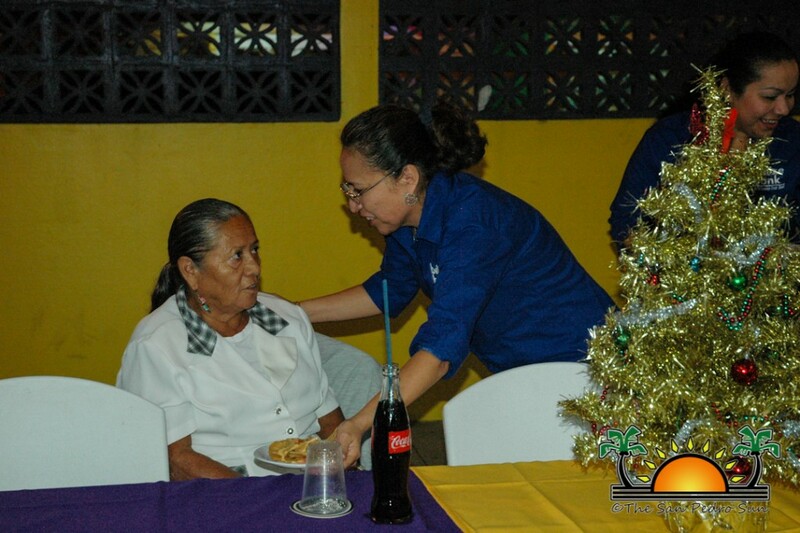 “Belize Bank Limited is glad to continue its annual partnership with the San Pedro Lions Club to bring seasonal joy to the community seniors. 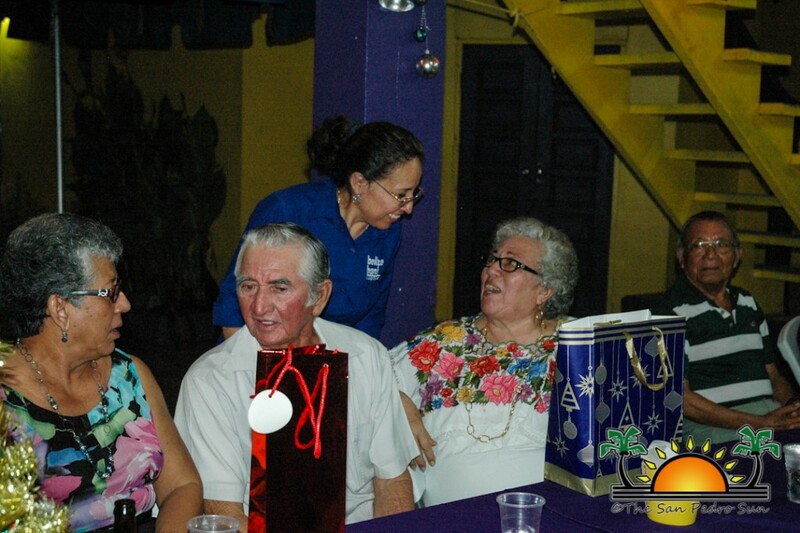 This year we donated 30 gift bags, and we had an outstanding attendance since all of our employees assisted at the party,” said Cervantes. 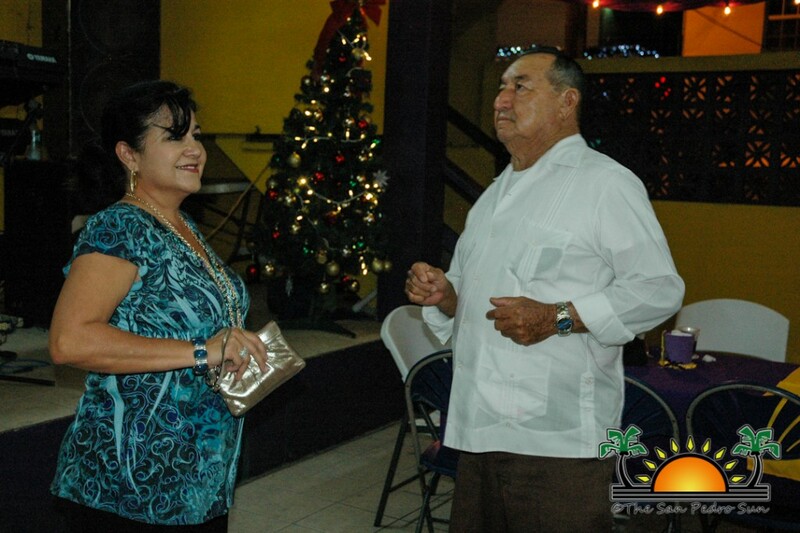 “We are happy to help the community in any way we can.” Cervantes also stated that in 2014 Belize Bank will also be assisting the Polyclinic as part of their community involvement. 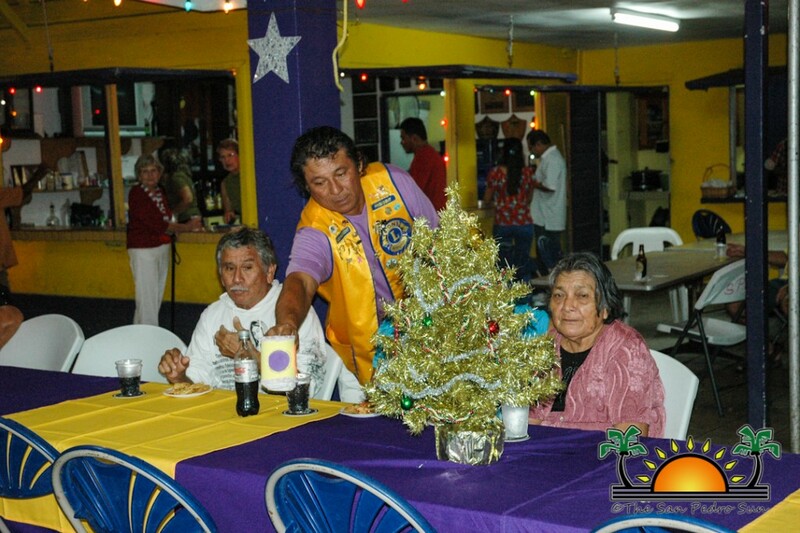 The San Pedro Lions Club asks for the public’s continued support in attending the regular Friday Night Bingo,which helps raise much needed funds that the club uses to finance its various events such as the Senior Citizen’s Dinner, and the annual Children’s Christmas Party. 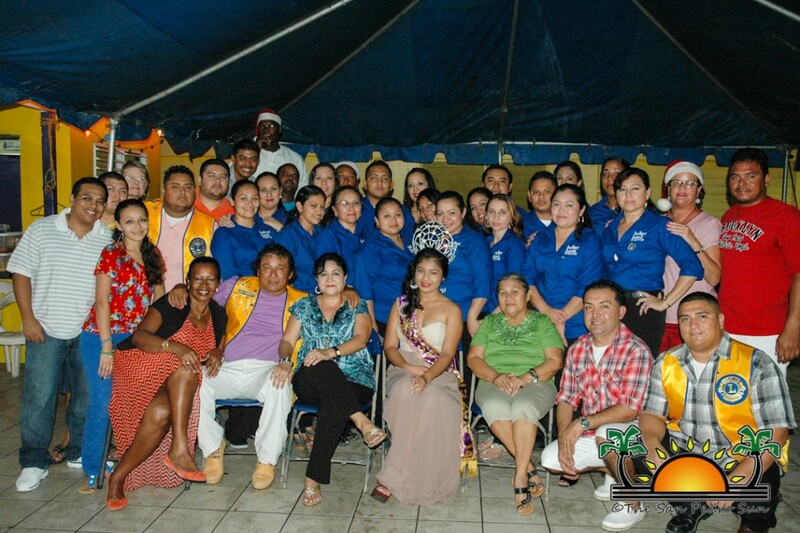 The San Pedro Lions Club joins Belize Bank to thank everyone that has supported the initiative and made this year a huge success. 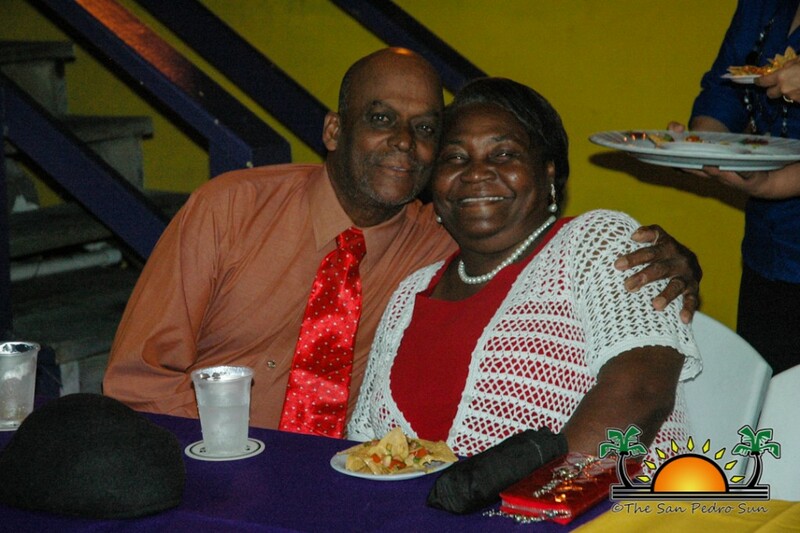 Merry Christmas and a prosperous New Years! 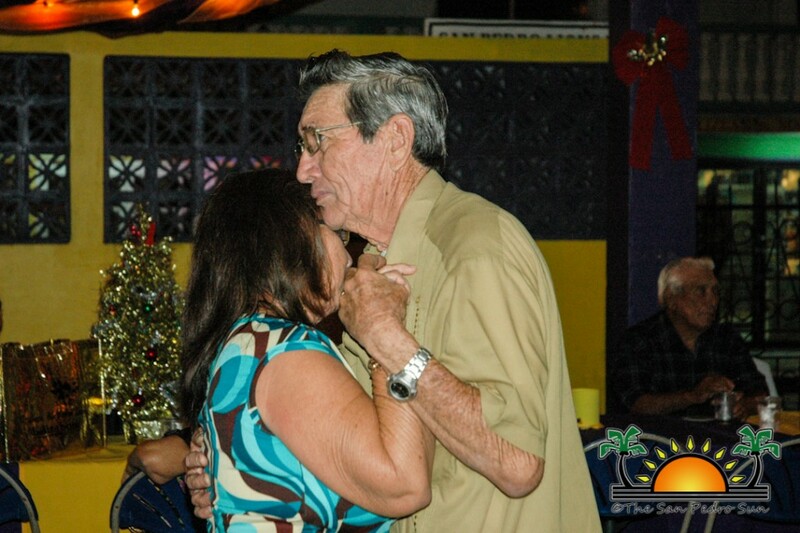 Don’t forget to come on by and be a part of their annual New Year’s Eve Dance. 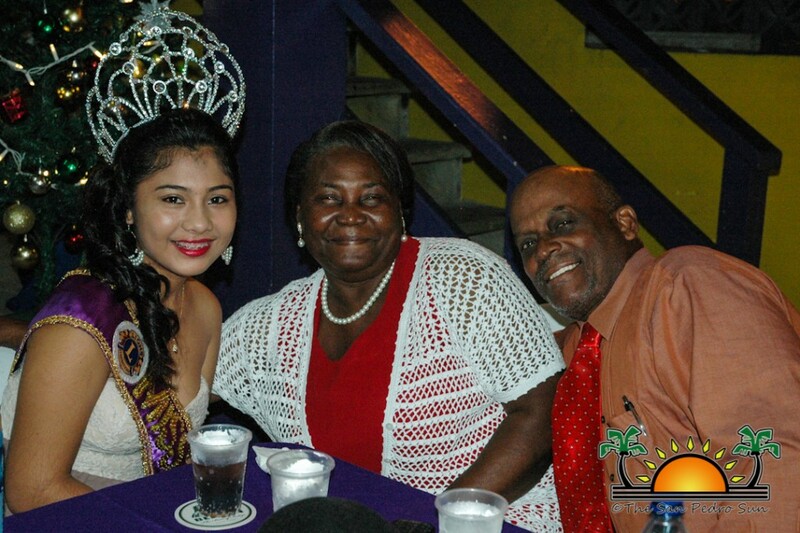 Bring in 2014 the right way!